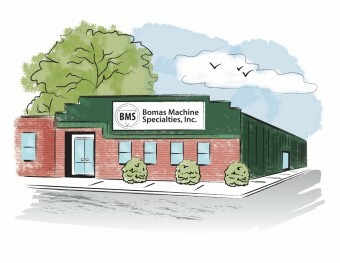 SOMERVILLE, MA: Joe and Theresa Annese of Bomas Machine Specialties, Inc. have announced the purchase of the entire commercial building at 334 Washington Street, Somerville, MA. Bomas has been operating at that location since 1979, and according to Joe, the new real estate acquisition is in keeping with the future plans of the company. Bomas provides precision machining of advanced ceramic and composite materials to a worldwide marketplace. They are trusted suppliers for engineers in the aerospace, military and defense, automotive, medical and dental, solar and wind power, and nuclear industries. The company has also emerged as a leading resource for research universities and laboratories. While they are specialists in MOR bars and chevron notch specimens, Bomas develops a process that conforms to the machining requirements of material in wear and strength applications for any industry.